What is Cheekbone Reduction Surgery? The facial line is greatly affected by the location of the cheek bones which is located in the center of the face. Asians generally have protruding cheek bones so when viewed from the front, their cheek bones are wide on the sides and flat. As the cheek bones are wide on the sides, when viewed from the side the facial line is disrupted because of the protruding cheek bone. Cheekbone reduction surgery also called as Zygoma reduction surgery reduces the cheek bone area to three-dimensionally reduce the mid face area. By improving on the problem of saggy cheeks and bone instability after surgery, the satisfaction level of the surgery is very high. Who are the candidates for cheekbone/zygoma reduction surgery? - Those whose temple area and the cheek appear relatively sunken due to the protruding cheekbones. Zygoma surgery is divided into 3 methods. I-ostectomy means that the part after cutting a bone is I-shape. It is 1st generation of Zygoma(Cheekbone) surgery method. It considers relatively simple surgery, but has a risky of nonunion of a broken bone and droopy cheek. L-ostectomy is also refers that the bone is cut in L-shape. 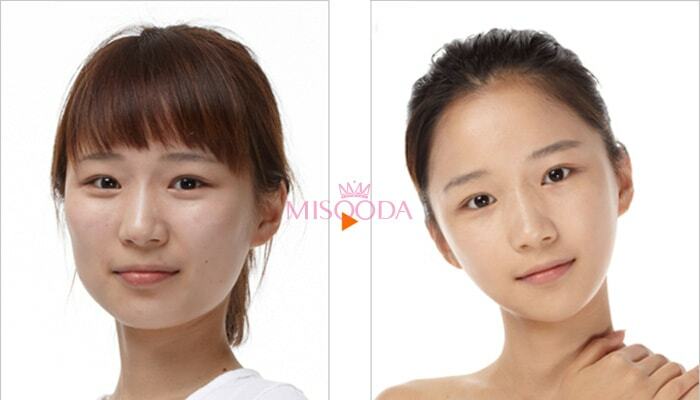 Usually, when front cheek or overall cheek is developed, fixed zygoma surgery is used. 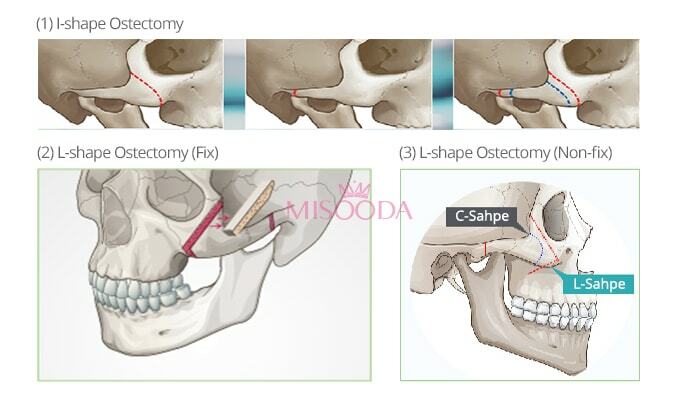 L-osteotomy is performed to front and lateral cheekbone after considering patient’s cheekbone shape and developmental state. Recovery is fast and skin droopiness is less as compared to other method due to less bone dissection. L-ostectomy is also referring that the bone is cut in L-shape. If only the front cheek and 45-degree cheek is developed and the over-development is not severe, non-fix zygoma surgery method can be recommended. Non-fix method is to adhere the fractured (partial fracture) area after removing unnecessary bone cut L-shape without any fixation. General price guide line for Cheekbone/zygoma Reduction Surgery in Korea is USD$900 to USD$14,000 according to Korea Health Industry Development Institute. The price is decided in variable range depending on the method and difficulty of patients’ case.